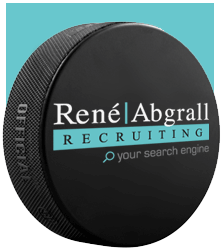 René Abgrall is a respected and accomplished recruiting professional with eight years of experience with one of Canada’s premiere recruiting firms. He established René Abgrall Recruiting to provide comprehensive recruiting services for placing top candidates in diverse occupations within small to large organizations. With consistent recognition as a top recruiter for the past seven years on a national level, René has a proven track record of achieving results. René specializes in placing the right people in the right jobs–the individuals who best fit a company’s culture, needs, and future. Before he commenced his career in the recruiting industry, René worked in federal government, public utility, aerospace, heavy industrial, pharmaceutical and packaging manufacturing environments. These real life experiences, coupled by his extensive recruiting background, provides René with a great perspective on what clients and candidates are looking for. René Abgrall Recruiting is a boutique search firm that creates value for client companies by placing dynamic employees who produce outstanding results. René Abgrall Recruiting – Your search engine!